Here in Florida, the majority of the year is spent blasting the air conditioning and trying to stay indoors, away from the sweltering heat. But those short few months of cold weather are approaching – starting with our first serious chill in the next few days. Do you know how you’ll be warming your home this weekend and this winter? With a space heater, Floridians can efficiently heat rooms in their homes whenever and wherever they need. Space heaters are especially useful when a particular room in your household is colder or draftier than others. Instead of heating the entire household, using a space heater can provide the convenience of heating whatever room(s) you want at a much lower cost. For example, a 1500-watt space heater operating four hours a day for 30 days would use about 180 kilowatt hours of electricity. It would cost about $11 to operate the space heater for the month. 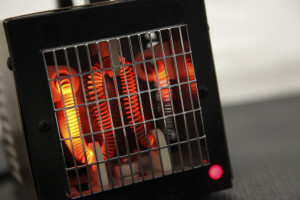 Always check that the space heater, its plug and cord are clean and in good condition before use.